Battery: 3.7V 250mah 25c Li-Po battery(included),Transmitter: 6*AA battery(not included). 1. No aileron design references aerodynamic blade design principles provide a strong impetus from the body and stability. 2. Use 8520 Coreless motor, 3.7V 250mah 25c battery magnification. 3. 6G mode using a 6-axis gyroscope,flight stability,especially for beginners flight. 4. 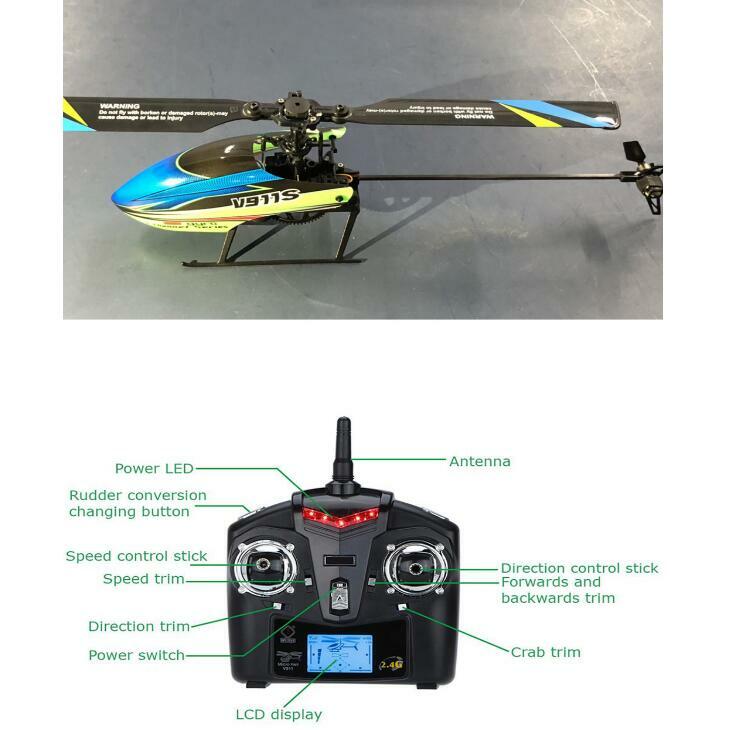 2.4G 4channel remote control,hold large-screen display, low voltage alarm,Rudder conversion changing button. with aircraft hovering Midpoint setting.Enter the setting mode to set the hover point of helicopter according to your needs.